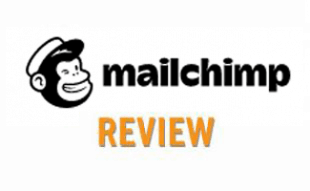 Home > Business > Marketing > Email Marketing > iContact Review: Email Marketing That Stands Apart? Here’s where iContact sets itself apart from the pack. iContact’s premier services include all of their basic features plus some additional bells and whistles targeted for larger volume and more advanced needs. Strategic Advisors: A dedicated strategic advisor researches your competitors and industry, sets you up with a marketing plan and educational resources, and digs deep into your message analytics to boost your business’s ROI. High-Volume Sending Services: iContact gives you what you need to reach a broader audience, including a reliable sending infrastructure, support from a strategic advisor, comprehensive tracking, custom reports, advanced segmentation and more. Custom Design Services: iContact designers assist your design needs. You get access to footers, sign-up forms, subscription pages and more. Quick message services get iContact professionals to send emails for you whenever you are running short on time. Deliverability Services: iContact’s specialists will evaluate your previous email campaigns to improve their performance. 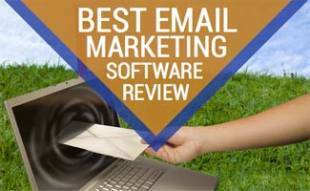 They help you manage your large email lists, effectively targeting for optimal inbox placement and open rates. Social Media & Content Marketing Consulting: iContact’s content writing team produces a fresh stream of engaging, brand-specific content for any of your platforms. It’s unclear, however, how much more you’ll pay for these services since you’re required to contact customer service for pricing. iContact fees are very competitive compared to other providers. Its pricing is based on the number of contacts per month, and you can pay monthly — no long-term contract is required. You receive a 15% discount on monthly pricing if you purchase the annual plan. It also provides a 20% discount for nonprofit 501 (c)(3) organizations (free account for North Carolina based nonprofits). iContact has a 30-day free trial. Here’s a sampling of user reviews we found for iContact. What’s Split A/B All About? If you’re wondering what split A/B testing involves, iContact demonstrates the basics for you. If you want to learn more, Amazon’s Developer Console has a great nuts and bolts explanation of just how A/B testing works. Is iContact The Email Marketing Service For Me? What sets iContact apart is their premier services. Very few services offer personal advisors who are dedicated not only to helping create a marketing plan but are also committed to troubleshooting problems. iContact was among Deloitte’s Fast 500 up-and-coming companies back in 2011, but they don’t seem to be growing at the same rate these days. But bigger isn’t always better. 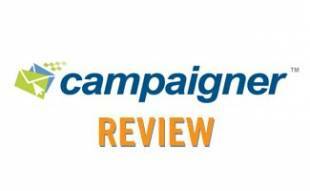 It’s worth checking out how iContact compares in our Email Marketing Services Review. Do you think it’s worth paying more for a professional email advisor? If iContact couldn’t get any worse, they have taken it to a new level moving their customer support area to Salvador and try getting anyone to help you there. Seriously one pathetic company, save yourself the headache, go somewhere else. iContact is getting a well-deserved reputation for shady billing practices, and my recent experience trying to get a refund for months of being overcharged bears this out. 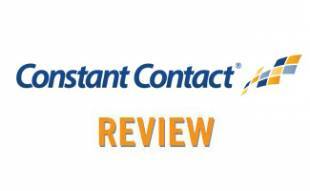 I’m very disappointed in iContact’s customer service, which is long on words and extremely short on results. So sorry to hear about your poor iContact experience. Have you switched to a new email marketing service yet? need permission to use my contact list after I collected them through a free high value book. I have to write on the free download book button that I will send them another free offer after I send the free book, even though they can cancel at any time. I disagreed with this option and they offered another option to send a request to them if they’d like to continue. But this never worked, instead nothing is working. And to cancel the contract is not possible. No service and you have to pay. Easy money making machine. Sorry to hear about your terrible experience with iContact. Thank you for sharing it with us. Have you found a better service since iContact? I’d like to change to Mailchamp or Aweber. If you end up having any questions between the two feel free to ask. We want to make sure you choose a company you’ll be happy with. Best of luck! Having used several email marketing platforms over the years, I am setting up a new client on an email marketing program. I’ve spent a little time comparing features and was pretty intrigued by the features of iContact. Their site is full of useful information. Their templates seem to be first class and generally better than some of the other cookie-cutter ones out there – even if not, their design services and their HTML capabilities make them seem a bit ahead of the pack. Couple that with their Advisory Premium service, and free trial and I’m going give them a try. This review sealed the deal. Thanks for going into such depth on their product.